There are plenty of reasons that a rebrand may be necessary within your company: your current branding may be looking dated, your service offering might have evolved, or your target audience may have changed, meaning you need to switch up your image in order to appeal to them. Whatever your underlying reasons for the rebrand, here are a few things you can do to ensure it hits the mark. First of all though, what does rebranding your business entail? When we think of branding, quite often a logo is all that comes to mind – and while a logo is arguably the most important aspect of branding, it’s only the tip of the iceberg. Branding encompasses a wide range of visual designs and written messaging, which together create a distinct personality and recognisable image and voice for your business. At Alchemist Studios, we provide a core group of branding services, which deal primarily with the visual elements of branding. We offer professional logo design, stationary design, graphic design and website design, as well as coming up with creative strap lines or slogans. As well as the core elements of a rebrand mentioned above, there are also aspects to consider such as tone of voice, font, colour palettes, product packaging and values. 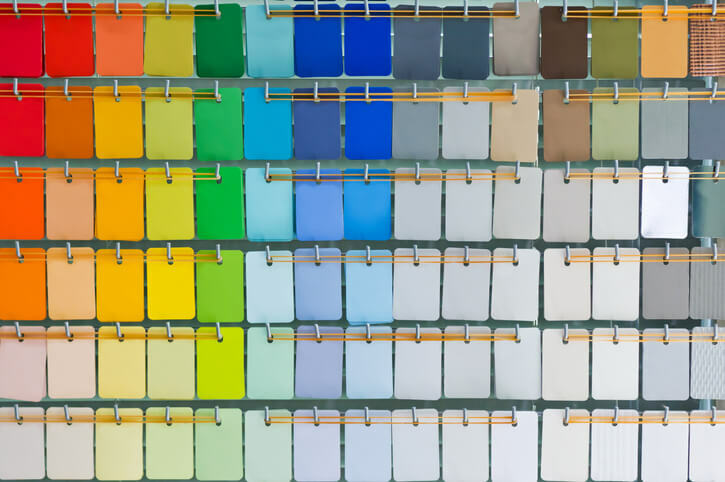 Whether you need all of these to be redefined as part of your rebrand or just the core elements will depend on the size and nature of your organisation – so identifying your own unique needs is crucial. Working alongside the visual elements of your branding, and equally important, are the written elements. Your content is the easiest way to showcase your brand personality, so having a voice that’s appropriate and appealing to your industry will help position you well. As well as fulfilling the visual aspects of your branding, we can also provide a strap line / tagline for your business, to support your logo and provide a starting point for your written messaging. Once you’ve got all your materials and content ready to go, your new branding should be implemented all at once to result in a fully synchronised brand launch. This avoids causing any unnecessary confusion or frustration to stakeholders – as humans naturally tend to resist change. Ensuring that the designs for your new branding materials have noticeable similarities to your previous branding is a good way to help prevent this becoming an issue, as well as serving to maintain your recognisability. If you’ve decided it’s time for a rebrand – we’ll work with you to provide high-quality visual designs that are reflective of your business. Read more about our rebrand services, and please do get in touch to talk to us about your needs.